Nikon D5300 vs D7000 is a battle between an entry-level DSLR camera and a mid-class DSLR camera. Many people have been confused between these two options. Very much. And that is not surprising, considering that Nikon D5300 is a newer model – it was launched in 2014 –coming with more modern features and technologies. On the other hand, Nikon D7000 was launched in 2011, but still has some qualities worth considering. Below, we are going to compare Nikon D5300 vs D7000 based on several aspects. After the comparisons, we will conclude whether Nikon D5300 or Nikon D700 is worth the money. So, continue reading! If you are considering about getting a DSLR camera, you certainly have expected it to be bulky and heavy. 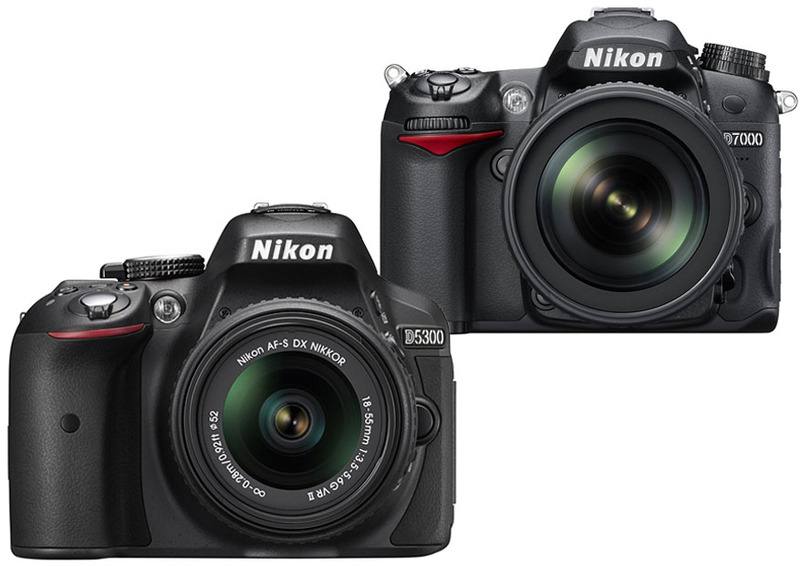 However, between these two DSLR cameras, Nikon D5300 is the more compact and lightweight one. It measures 125 mm wide, 98 mm tall, and 76 mm deep. It weighs about 480 grams. So, if you are looking for something that is highly portable, Nikon D5300 is probably what you’ve been looking for. On the other hand, Nikon D7000 is considerably bigger and heavier, measuring 132 mm wide, 105 mm tall, and 77 mm deep. And it weighs 780 grams – that’s pretty close to 1 kg. However, Nikon D7000 also offers a more rugged and durable housing. You can feel that the heavy metal housing is very sturdy in your hands, and it is weather sealed. In addition, the shutter mechanism is also more durable with longer lifetime expectancy. 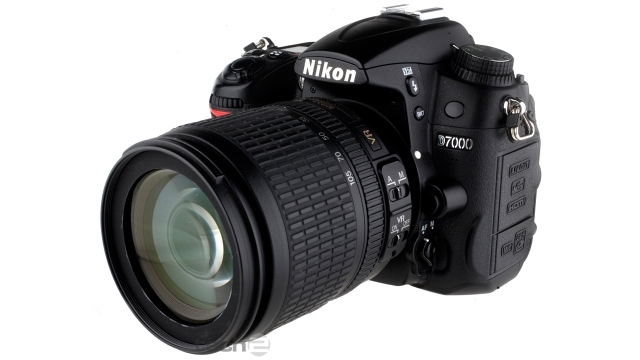 If you are planning to buy a DSLR camera as a one-time investment, Nikon D7000 is probably better. The rugged, sealed housing ensures that the camera will last for a long time, even with some usage and environmental abuse. The next differences between Nikon D5300 vs D7000 are the display and the viewfinder. Honestly, each of them has a distinctive advantage here. Being newer, we are not surprised that Nikon D5300 comes with a fully articulating display screen. You can snap out the display screen from the body and bring it to different angles. You can even use it to take a selfie easily. In addition, the size of Nikon D5300’s display screen is slightly larger at 3.2 inches. However, Nikon D5300 only comes with a pentamirror optical viewfinder. Compared to the premium pentaprism, a pentamirror optical viewfinder is much more lightweight (hence the weight difference), but it causes significantly more light loss. That is why, the field of view is much dimmer. On the other hand, Nikon D7000 is equipped with a 3” fixed display screen and a pentaprism optical viewfinder. Hence, it offers much better performance, with much better clarity and brightness. Many professional photographers greatly prefer pentaprism optical viewfinders. When buying a new DSLR camera, you should not forget to consider the lenses; what lenses that you want to use and how much money that you can spare for them. The huge difference between Nikon D5300 vs D7000 is that Nikon D7000 comes with a built-in focus motor. As the effect, you can make it work with any autofocus lens that Nikon has ever produced since a long time ago. You will be able to use older pro lenses that are not only much better than today’s consumer lenses, but also cheaper.In addition, Nikon D7000 also has an aperture coupler ring that allows it to work with most of the older Nikon manual focus lenses. Nikon D5300 has neither a built-in focus motor nor the aperture coupler ring. So, the range of lenses compatible with Nikon D5300 is much narrower. Both Nikon D5300 and Nikon D7000 are equipped with APS-C CMOS image sensors. At first, Nikon D5300 seems to be better because it comes with a higher resolution, 24 MP, and a better ISO range of 100 – 12800 (expandable to 25600). It also has slightly better low-light performance. Indeed, if you really need the high resolution for producing large-sized photographs, then Nikon D5300 is worth considering. Otherwise, the resolution does not matter very much to the overall image quality. Nikon D7000 comes with 16 MP resolution and an ISO range of 100 – 6400 (expandable to 25600). However, it has a better and faster shutter. It has a maximum shutter speed of 1/8000s, and the continuous shooting speed is slightly higher at 6.0 fps. For videography purposes, these two options are comparable to each other. Both can record videos in Full HD (1920 x 1080). They both also come with microphone ports. So, you can connect the camera with an external microphone in order to record better quality audio. 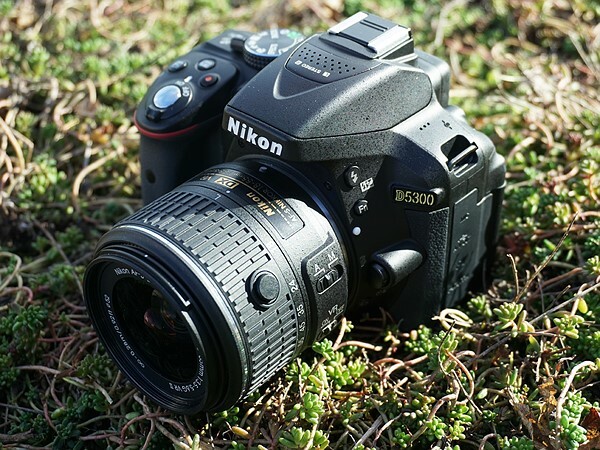 Nikon D5300 makes an attractive value for the money mainly because it is armed with more modern features. Nikon D5300 already comes with built-in Wi-Fi and GPS. The built-in wireless connectivity makes it possible to transfer photos and videos wirelessly to your smartphone. You can also connect your smartphone to control the camera remotely. Of course, Nikon D7000 does not have any built-in Wi-Fi. But we should note that it comes with two memory card slots. Honestly, this is better than having to transfer photos and videos to your smartphone in order to free up some storage space. Nikon D7000 has much better battery life. It can easily take more than a thousand shots before it needs to recharge, making it an excellent choice for long trips. On the other hand, Nikon D5300 can only take about 600 shots on a single charge. In the end, we recommend you to choose Nikon D7000 is you are serious in photography, and especially if you are planning for a one-time investment. It has better build quality, and it has built-in focus motor and aperture coupler ring to make it compatible with a wider range of autofocus and manual focus lenses. It also has a better viewfinder, two memory card slots, and better battery life. On the other hand, Nikon D5300 will not make the cut in the long run, but is still a viable option if you need an affordable camera with high resolution or Wi-Fi.